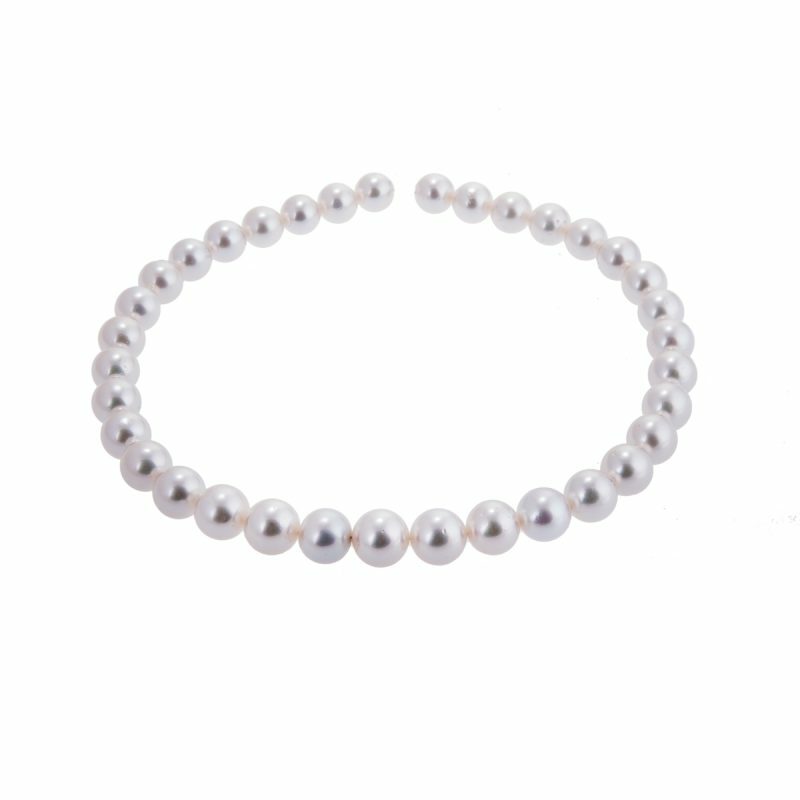 Single row, uniformed cultured pearl necklet, 47 pearls in total. 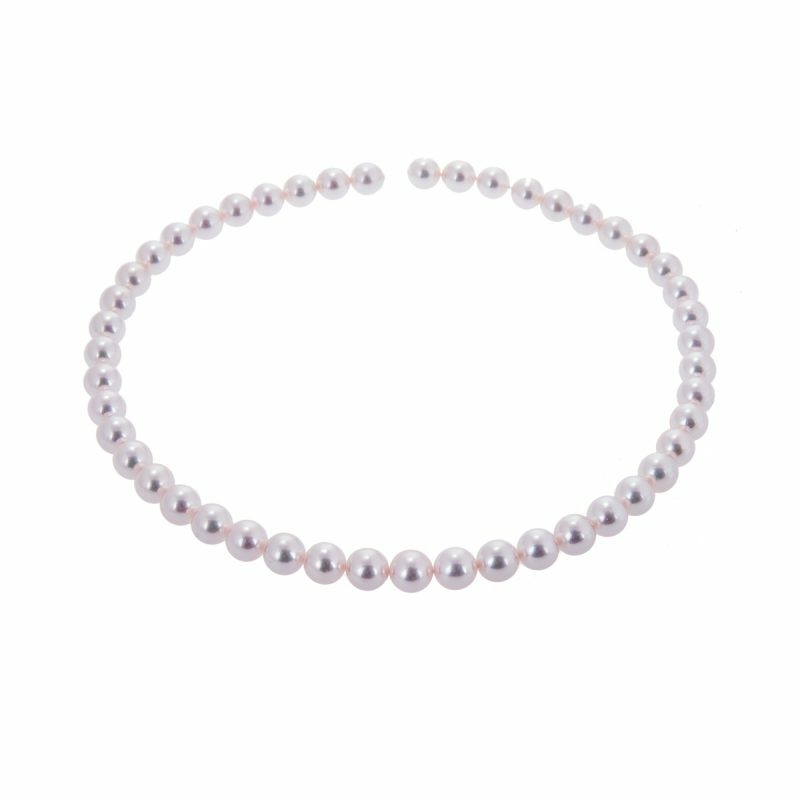 The song of the ocean’s sirens enchant onlookers as you wear this stunning Akoya pearl necklet, its colour lustrous from the warmth of the skin. 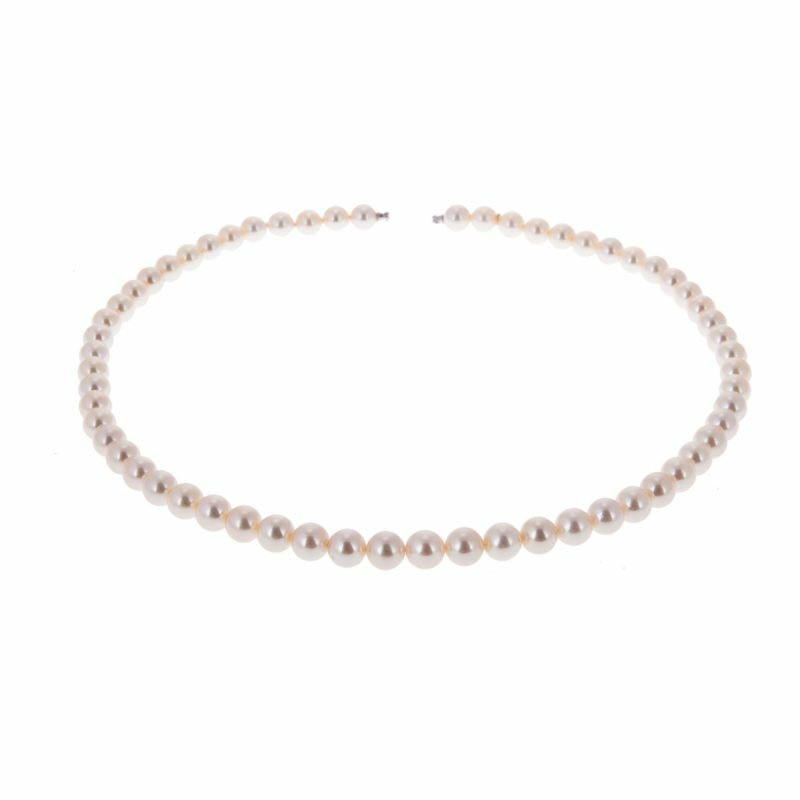 All our pearls have special 18ct gold fittings that allow the clasps to be interchangeable. 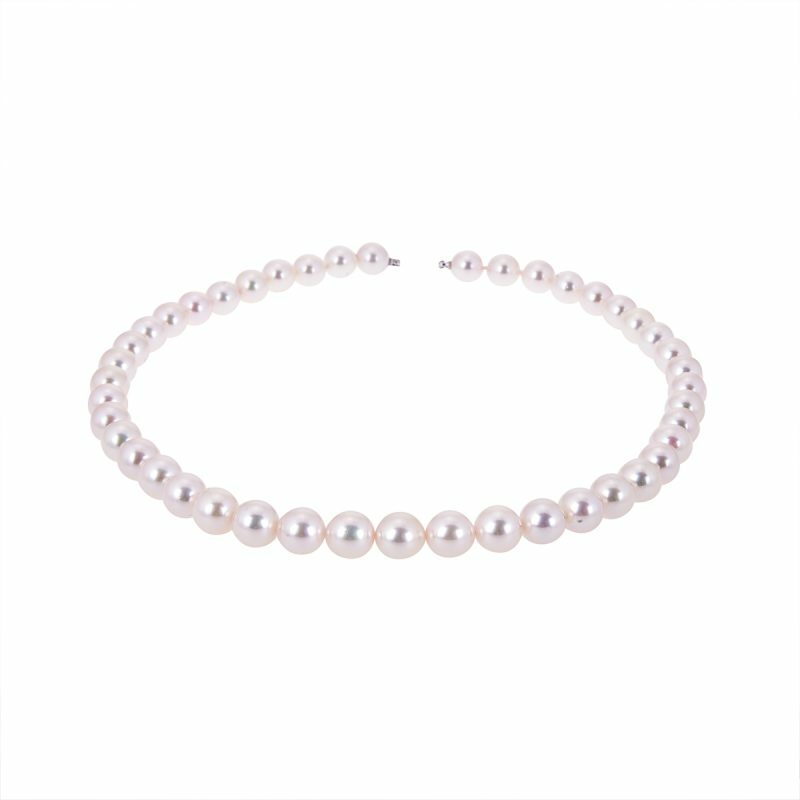 Please contact Hancocks to discuss the different clasp options and prices.